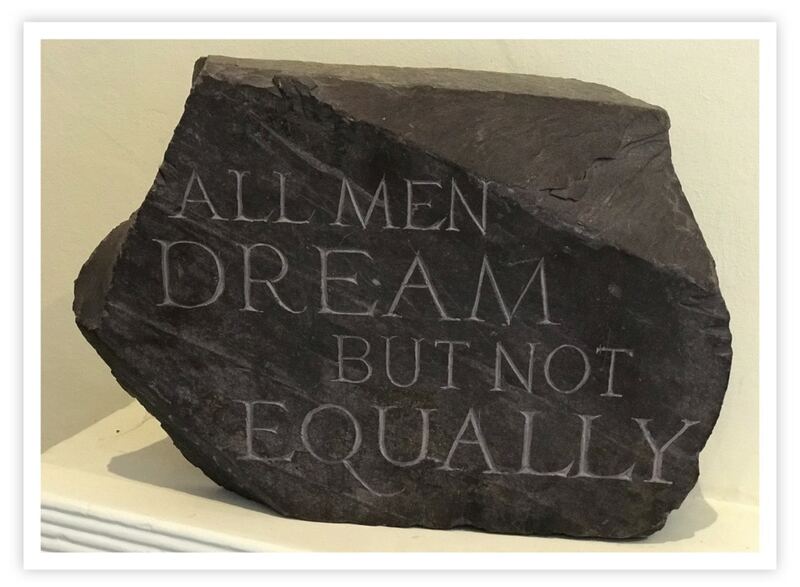 This quote made such an impression on me when I first read his work, that a very good friend of mine – who has stonemasonry as one of her many skills – carved me the line on a beautiful heft of rock for my fortieth birthday. It sits pride of place in my home office such that it catches my eyeline regularly. “Where is this all going?” I hear you ask. Well, this weekly blog rests within my Climbing Mount Audacity series and the theme of this writing centres on: How to build an awesome professional service firm (and enjoy the journey en route!). The majority of my writing concerns practical aspects of the entrepreneurial journey: how to build a sales capability, how to develop your service proposition, how to develop teams, how to build leverage in your organization etc. The list of technical, practical topics is virtually endless. Before I head back into this zone (building your selling capability next up), I wanted to take a deliberate, short side-step. The ‘enjoy the journey en route!’ clause is far from a throw-away line. I have seen many ‘successful’ entrepreneurs who are unhappy and unresolved – typically as a function of poor health and an atrophy of relationships that has accompanied their myopic business focus. So to neglect this more holistic life perspective as part of this series would be a potential disservice. It is important that we also, occasionally, digress into a more philosophical frame. This is one such essay. I am really fascinated by the topic of personal productivity. I have had the privilege of working with many hugely talented colleagues and professional acquaintances over the years. People that can effectively squeeze twelve hours of productivity into an average person’s eight-hour day. Or, in the more likely context of a professional service firm, eighteen hours of productivity into a twelve-hour day. What is fascinating is that such intellectual horsepower, such getting stuff done merchants are often also people who achieve success (necessarily a term of self-definition) across a broad, balanced sweep of life: relationships, fitness, community-contribution, professional development – in addition to any career/business/financial obsession. So in this blog, I wanted to share my observations as to seven common wakeful practices of such dangerous entrepreneurs. By dangerous, in this context, like Lawrence, I mean the ability to dream goals and deliver on them. For each practice, I will also share some tips with respect to great books to read or apps that can help enable such a new habit. My hope is – at least – that you might pick up one or two ideas that you can introduce into your own regime. Before we get going, a couple of safety notices. These practices are all focused on personal efficiency (output for input) cf. efficacy (actual ability to generate results). Being more productive is for naught if you service proposition is incoherent or your business model flawed. If only there were a direct correlation between hard work and business success: the world would seem a fairer place perhaps. Alas, no amount of productivity will make up for poorly conceived ventures. For now, let’s put that fundamental point to one side and make the starting assumption that your pursuit – and direction of travel – is sound. Secondly, I should also make it clear that, in sharing this set, I am not claiming exemplar personal guru’ship. I am, perhaps, much closer to this set of practices now – but it has taken a long journey of reading, observing and talking to respected others to arrive here. Even now, there will be many days when I miss out on a number of these. All I know with certainty is that if I include just a few of these practices into my daily regime (especially so first thing) then I am primed for a great day – and I know you will be too! So, with those important caveats made, let’s dive into seven wakeful practices of dangerous entrepreneurs. IAGF (I am grateful for): an important relationship recently front of mind, something great from the day before, an opportunity presented – or – maybe something really simple. WWMTG (What would make today great): what one thing do I aim to achieve today that will signify dangerous progress. Blocking distraction-free time for achieving this one thing is key also. Reflection: a general reflection on the day. ATTHT (Amazing things that happened today): there will always be something! HCIHMTB (How could I have made today better): one or two areas/practices/habits that would have made the day more efficient (and/or enjoyable – this is not mutually exclusive!). There is no magic-bullet as to how or where to journal: there are many great apps; some prefer a physical book. The key is the regular, engrained practice: especially so at the start of the day before the oppressive regime of the email inbox, or social media, prevails on your mental lobes. I personally use a great app called Day One. Dangerous entrepreneurs are innovators, constantly learning, forever swiping great ideas from one domain and integrating them into another, perpetually seeking new ideas to improve their offering to the world. This inevitably involves an insatiable intellectual curiosity which, in turn, often goes hand-in-hand with regular reading. Of course, there are many ways to digest content nowadays (blogs, audio books, podcasts etc) but nothing beats a good library of books. A great practice I have observed – and achieve most days – is to also include in my morning routine 10-15 minutes of professional reading (reading more for leisure of an evening). This doesn’t sound like much but it means that each day I will get through 10-15 pages of my current book – enabling me to finish one-to-two books a month. When you have a great book on the go, this inevitably leads to one-or-two constructive ideas a day also. Regular reading is highly correlate with entrepreneurial verve and productivity. As a related aside, I love the Goodreads app which keeps track of all the books you have read and are reading, placed onto your own virtual bookshelves. A great way to track your reading practices. I have arrived late to the practice of meditation. Personally, I also had to overcome some initial cyniscim before making it part of my personal practice. What is uncontroversial, however, is the evidence linking meditative practice with highly-effective practitioners (in all walks of live). Entrepreneurs and business leaders, generally speaking, will have very busy, chattering minds – replete with a mental list of a hundred and one “to dos”. Such a mindset is often prone to distraction and a lack of productive focus (like a mental grasshopper – bounding from thought to thought). Meditation helps calm such a mind and develop a calmer inner sense of focused, current attention. Just ten minutes practiced regularly (again morning routine is best) sets apart the dangerous entrepreneur from the chaotic practitioner. Consistency really is the key here (my personal challenge also) and many state (I can vouch for) that it is only after seven days of such daily practice that breakthrough moments are experienced. If you have any residual cynicism, please shake it off – this really can be an extraordinary component of your toolbox. 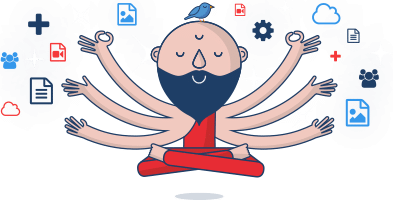 There are many great apps out there to facilitate; I have been personally using one of the most popular – Headspace – for some time now and highly commend it to you. Dangerous entrepreneurs are, first and foremost, organized doers. If I can commend one book in this regard it would be Getting Things Done by David Allan. I first read this book about ten years ago but it was only after re-reading it, some three years ago, that I became a card-carrying devotee. To be honest, there is nothing hugely clever about Allan’s GTD methodology. Like a lot of sound practices, it is just good common-sense really well structured and explained. In essence, it describes a way of capturing, sorting and prioritizing tasks from across you life such that you can work through a daily list with the calm assurance that this represents your most dangerous set for the day. A key practice – amongst many in this discipline – is that of the daily review. Within my app, I probably have 200-300 tasks sorted within these categories. Each morning, I will spend 10-15 minutes sweeping through this entire list (already prioritised, date-sorted) to confirm what I seek to place in my Today view. This practice will involve checking through my schedule to ascertain the art of the possible with respect to commitments in the day ahead. Such a daily review is an essential practice to ensuring that your day doesn’t run away with unsought distraction and that critical projects and tasks, from across your balanced life, receive due attention. Entrepreneurs become especially dangerous when they combine this practice with daily reflection: as required to marry daily ambition with realistic, productive achievement. Everyone knows the importance of exercise and the Mens sana in corpore sano (healthy body, healthy mind) truism. Dangerous entrepreneurs, enjoying the journey en route and building a sustainable future ahead, invariably maintain body-mind health through the practice of regular exercise. As critical as that general point is, however, the practice I want to note here, as a common theme of the productive, is that of the short, sharp physical effort to prime a day. The foundation of any dangerous day is your state of mind. In turn, your state of mind is intrinsically connected with your physical disposition. This kick-start practice needn’t take long (we are not necessarily talking gym visit or long run); indeed, many effective leaders I have spoken to just take a short 5-10 minutes blast before they hit their morning shower (occasional a cheeky cold one). Personally, I like to mix this up. Just five minutes of air squats, press-ups or burpees, say, before I hit the shower on completion of my morning routine leaves me perfectly primed for the day ahead (“Win the morning, Win the day”). As an unbendy, middle-aged man, I also seek to throw stretches into this routine – even if just a few times a week. Romwod.com (standing for range of movement workout of the day) is a great, subscription-service website for serving up a variety of short stretch routines to such effect. We don’t have space here to talk about how I went from regularly consuming “as much as you can eat” Chinese-buffet, carbohydrate-fests in my early years of business life to a more sensible regime. Suffice to say, as the world knows, nutrition is another bedrock of personal energy, productivity and general health. An excellent book to divert aspirant dangerous entrepreneurs to at this juncture is The Primal Blueprint by Mark Sisson. The simple, dangerous practice I want to highlight here (and remind myself of!) is that of hydration. I mentioned the pint-of-water on waking habit, but this wakeful habit pertains to the regular consumption of water throughout the day (does anyone really still go anywhere near sugary drinks – with contemporary medical knowledge?). Well hydrated bodies and minds have more energy and more fertile creativity. This one is really simple. Drink frequently (sip often cf. volomous gulps) throughout the day. One of the kindest things you can gift yourself with is a water container that stays within your reach all day. One of the simplest, dangerous practices you can adopt is to regularly reach out for it. I am fortunate. I have always loved sleeping – in an unapologetic way. During my time in the Royal Marines, I was well known by colleagues, for being able to fall asleep anywhere as soon as the opportunity arose. What I didn’t appreciate until recently is just how important regular, fulsome sleep is with respect to efficient, truly-dangerous business leadership. Frankly, I don’t buy into the sleep-is-for-wimps corporate rhetoric. I have worked with many sleep-deprived leaders and more-often than not they are unpredictable, cranky, idea-starved, emotionally-labile workatrons. Truly dangerous leaders, rather, extol a sleep-is-for-efficiency mantra and encourage this in others also. If you have any scepticism to this claim, I extol you to read the truly mind-blowing Why we sleep: The new science of sleep and dreams book by Matthew Walker (please add it to your daily read pile – see practice #2). This book makes manifest, with well-researched science, just how critical the practice of consistent eight-hour sleep blocks (cf. weekend catch-up binging) is to productive minds. This practice, in turn, hinges principally on the habit of going to bed and rising – as best you can – to a consistent schedule. In turn, this general practice hinges on the specific practice of getting to bed at a consistent time. To this effect, see a great blog written by Rod Yapp on Why I start the day at 9pm. The seventh habit in this set, therefore, is that of setting an alarm to go to bed: especially so if, like me, you are can easily slip into the self-defeating habit of regularly working late into the night, way past diminishing return, just because nothing has broken you out of this flow. The most powerful wakeful practice of the dangerous entrepreneur might just be the simple function of setting an alarm to remind them it is time to sleep! Having taken this side-step, my next weekly blog is going to dive back into a key concern for many professional service firm leaders: how to build a firm-wide selling capability and de-risk the business development challenge generally. Note: You can find out more about the annual Retreat Dom runs here.